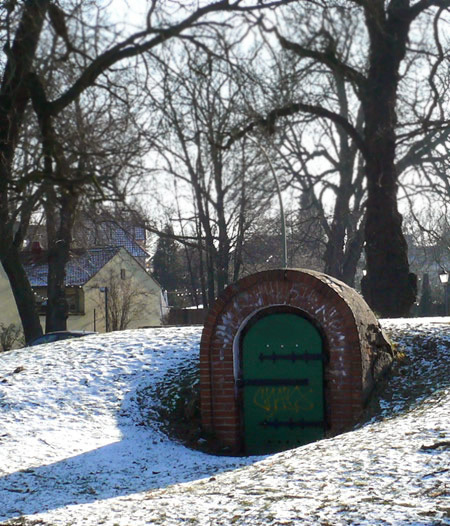 Alternative tourist sights in Berlin: A hobbit house in Dahlem village? It's the kind of sight likely to have small kids squealing with delight (and probably one or two adults, besides). 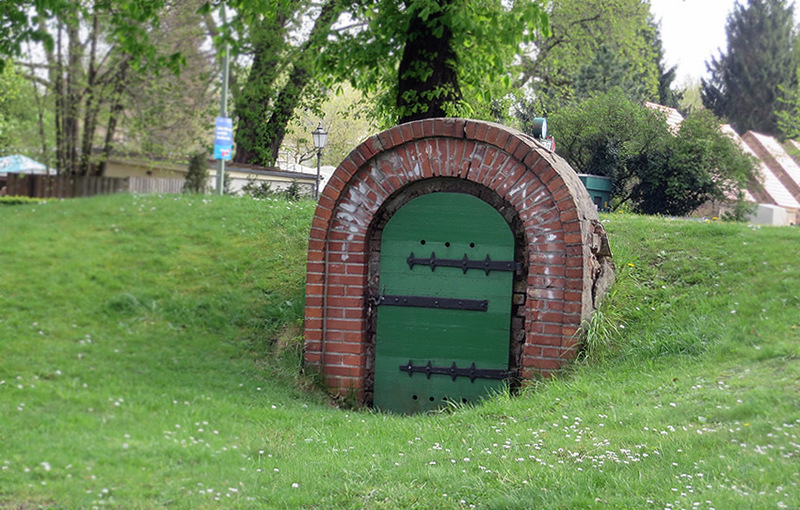 A tiny wooden door leads straight into a grassy hillock - almost certainly the dwelling place of a hobbit or some other fairy-tale creature. But if you decide to discount that theory - what exactly can it be? 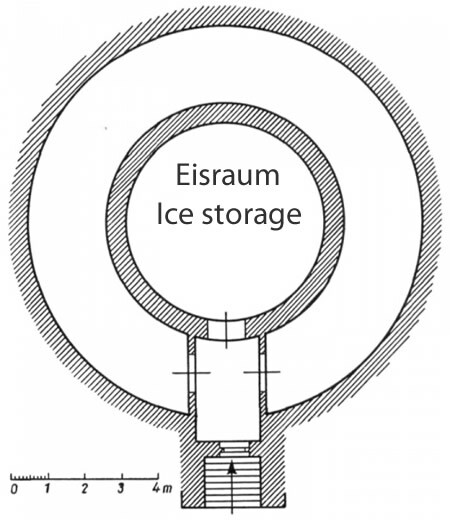 In fact, it's an ice cellar (Eiskeller), an ancient substitute for a freezer. Behind that inviting entrance there's a short, brick-lined passageway to an underground chamber (below, right), which was surprisingly good at keeping ice gathered in winter frozen for later use. This particular example was built for the historic Dahlem manor house (located just opposite), and also happens to be Brandenburg's oldest, dating all the way back to 1709. Of course, you're unlikely to make a special visit just to view this historical curiosity, but the fact that it's next to the wonderful Domäne Dahlem farm means you'll get to see it when treating the kids - or yourself - to a 'rural' excursion. Little ones are bound to love it - and even if it's not a real hobbit house, an ice cellar's pretty cool, right?